The death of Robin Williams this year was indeed a tragedy. And so it seems only natural to end up looking back at his body of work. As much as he's most significantly known for his out-the-top comedic roles, we've also seen him in a variety of more serious movies that have a bit of comedy balanced with other elements. And he has demonstrated the complexity of his acting range time and time again. The World According to Garp blipped on my radar again particularly because of the the HBO documentary Casting By. I hadn't seen the movie prior to this for one reason or another - a larger part of that probably had to do about lack of awareness, really. Why are there so many movies in the world? It made for an interesting afternoon companion here at the Sietch, although I don't think I was necessarily ready for a full 2+ hour journey through the titular character's life. And while this is hardly my favorite movie, it was still a pretty good little movie experience. Synopsis: The World According to Garp is a 1982 comedy-drama movie directed by George Roy Hill. The screenplay was written by Steve Tesich based on John Irving's novel of the same name. At the center of our movie is one T.S. 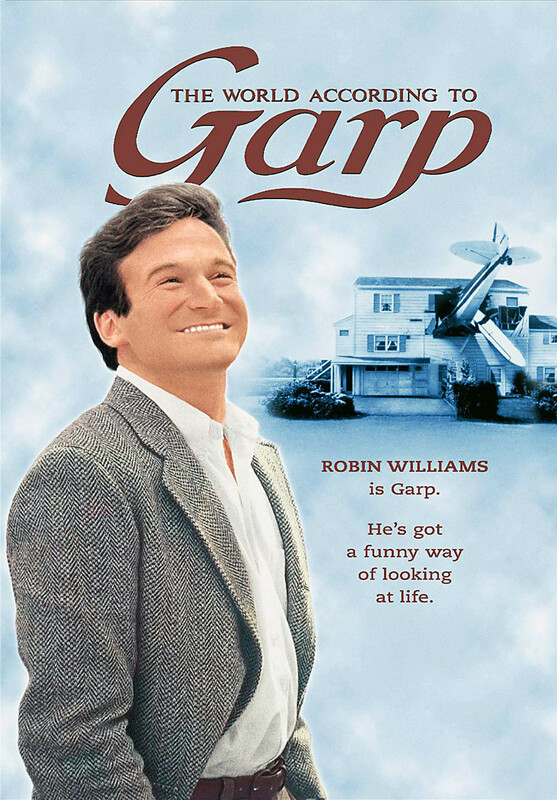 Garp (Robin Williams / James J.B. McCall), the son of a feminist nurse named Jenny (Glenn Close). She had wanted to have a child but had no desire for a husband and manage to achieve this goal by impregnating herself with help of a dying soldier from the war. The man was technical sergeant Garp and thus who inspired our protagonist's name as well. Jenny goes on to raise young Garp all by herself. Thus we follow Garp through his life until his college years when he gets into wrestling and writing. He the manages to attract the attention of Helen (Mary Beth Hurt), the daughter of the wrestling coach, And as Garp falls in love, his mother decides to use her experience to inspire her own feminist novel - a book that is eventually released as Sexual Suspect. And her success as a writer results in her deciding to put up a shelter of sorts for troubled and abused women and transsexuals like Roberta (John Lithgow). In many ways, this movie is one long slice-if-life style story. We just follow Garp's progress through his life starting from his childhood and well into his adulthood as a writer. And we also try to explore various aspects to Jenny's view of the world and the personalities that eventually call her shelter home. The movie just progresses forward with sequence after sequence even though it doesn't particularly feel like truly "notable" things happen. I guess it just came across to me that most things just seem to happen to the characters instead of them truly being agents of their own fate. And it might just be because the movie chose a particular manner of presenting the characters or even an effort to capture the tone of the book. Having not actually read the original book, I am again left at a loss for context. I can see why the casting was so notable - the combination of Williams, Close and Lithgow made for more interesting sequences, to say the least. And given their fairly limited carers in movies at the time that they were cast really speaks of the careful eye that selected these actors. The movie as a whole may not have been amazing or something, but it certainly had its share of strong performances all throughout. Things just did't quite come together to make for a more compelling film. Robin Williams was actually the somewhat odd casting choice here given how subdued he comes across as compared to his later movies. That may be an unfair comparison, but I guess it just reflects that he came across as rather flat in this movie. And given what we know of him today, it's easy to wonder why he wasn't able to push himself further in this movie. That's the challenge of adaptations of course. You can try to be absolutely faithful to the source material and come up with an overly long and lackluster movie. But more often than not the truly successful adaptations know when to embellish a bit and to tweak the story to make it more appropriate for the medium. The World According to Garp has a charm all of its own, but I wish it had been more engaging. Fans of the book will probably take this movie as amazing or horrible, as such an on the edge adaptation can be pretty divisive among fans. Thus it only gets 3 weird moments in Garp's life that he bounces back from out of a possible 5.